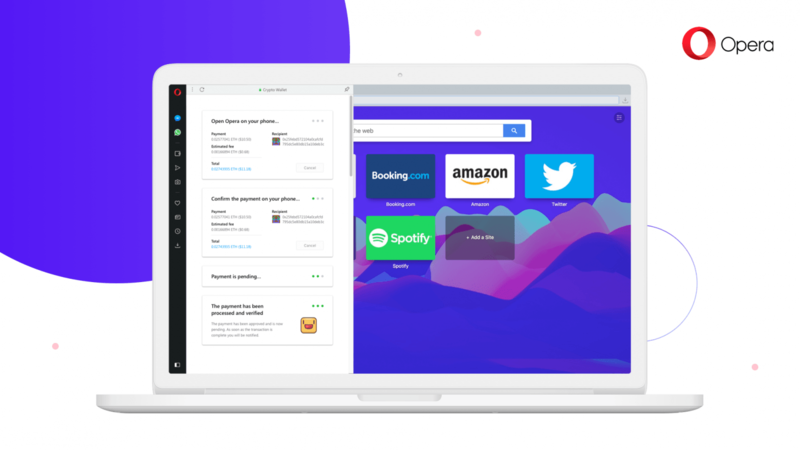 Handling cryptocurrencies is about to get easier, as Opera becomes the first major desktop browser to include a cryptocurrency wallet, negating the need for third-party extensions or applications. In doing so, Opera has adopted an interesting approach to security. 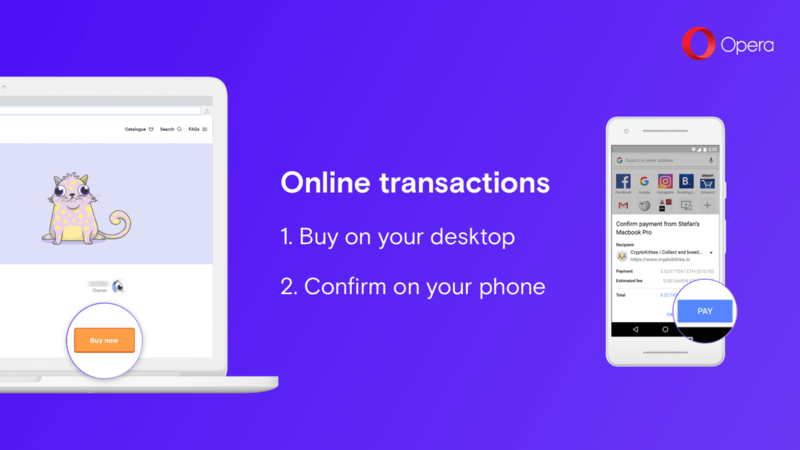 The desktop wallet (which supports Ethereum, its tokens, and collectibles) synchronizes with the cryptocurrency wallet integrated in the Android version of Opera since June of this year. When a user wishes to send a payment, they sign transactions using their phone’s built-in fingerprint reader, rather than typing out a long passphrase. Passphrases can be forgotten. They can be stolen. The biometric approach, although not perfect, is, at least in theory, more secure and less liable to result in irretrievable coins. Funds and assets — and the secure cryptographic keys associated with them — are stored locally on the user’s phone, rather than on a remote server somewhere. To connect the mobile wallet to the desktop browser, the user merely has to scan a QR code. Opera is making a big bet that blockchain and distributed apps (dubbed Web 3.0 by some) will become mainstream in a meaninful way. By adding this feature, it positions its browser at the heart of it. Opera promises its browser cryptocurrency integration will roll out to users “soon.” Those wishing to get a sneak peek can register their interest here.